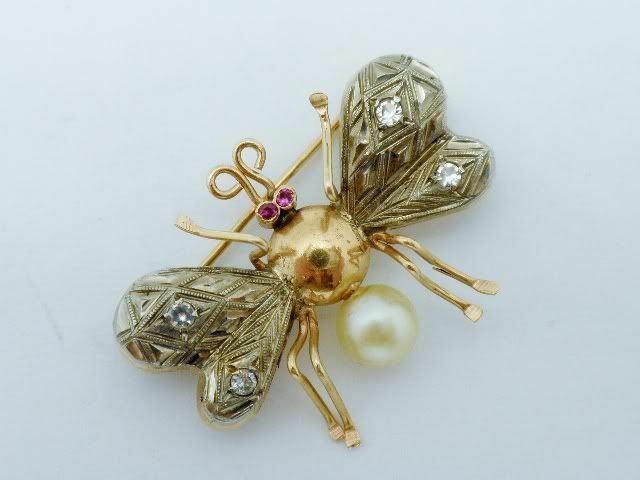 Antique bee brooch. 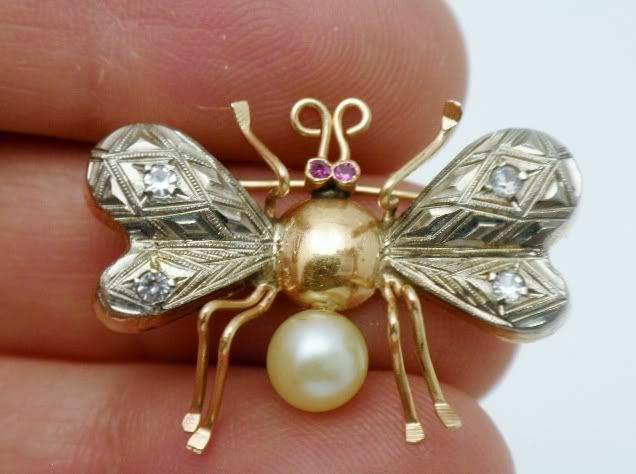 The piece is from South America. 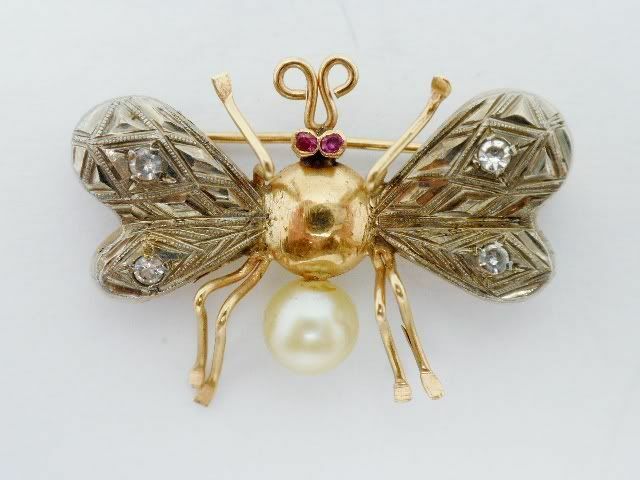 Rose gold and platinum set with 4 single cut diamonds in the wings, ruby eyes and cultured pearl. 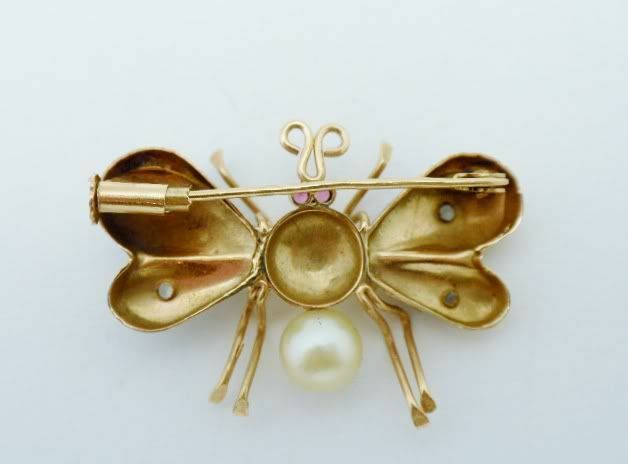 The brooch measures 1 1/8" wide by 7/8 long weighing 3.2 grams gold. Legal antique circa 1900-20.